The United States Government vs. We the People | What Would The Founders Think? 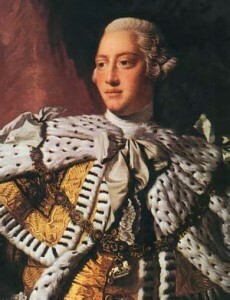 In 1776, the world was ruled by royalty. Then some upstart colonialists penned the most revolutionary document in the history of man. The Declaration of Independence flipped the world upside down. The Divine Right of Kings became the consent of the governed. The individual was now endowed by their Creator with certain unalienable Rights. This was a world-shattering concept. It defined both the limits and legitimate ends of government. Like most revolutionary visions, this one didn’t just suddenly spring onto the world stage. Ironically, the philosophical basis for self-governance came from subjects of the British Crown. John Locke, David Hume, Adam Smith, and Thomas Paine were among many who maintained that this new way of life was ordained by the laws of nature and of nature’s God. The Founders were steeped in this incendiary idea. They believed that all political power emanates from the people. This concept provides the rational for the Declaration of Independence which declared it is the right of the people to institute a new government, laying its foundation on such principles and organizing its powers in such form, as to them shall seem most likely to effect their safety and happiness. The Constitutional Convention of 1787 instituted a new government and laid the foundation and organizing powers. It is not a small matter that our United States Constitution starts with We the People in out-sized letters. The entire document is the people’s document—a contract that delegates authority from the people to government. As is often stated in modern contracts, it was meant to be the sole agreement between the parties, and changed only by the process defined within the document. The Constitution reads We the People … do ordain and establish this Constitution for the United States of America. Can ink on a page accomplish that feat? No. Congress instructed the convention to recommend changes to the Articles of Confederation. These were to be returned to Congress for approval and then submitted to the state legislatures for concurrence. That is not what happened. Mere amendments to prop up the flawed Articles of Confederation would not do the job. The Convention instead proposed an entirely new government. James Madison had little difficulty convincing the delegates that to legitimatize their work, they needed to bypass Congress and the state legislatures and go directly to the people. In a separate cover letter that accompanied the Constitution, the delegates directed Congress to submit the proposed Constitution to conventions of the people for ratification—without review or delay. The Ratification Conventions and the surrounding debates that raged throughout the nation are what make the United Sates Constitution a binding contract between the people and their government. Today, some people think the Constitution made the government the boss. Others think it depends on the circumstances, time frame, safety issues, or the greater good. The Founders were never confused. Governments derive their just powers from the consent of the governed. Period. Exercising authority outside the bounds of the Constitution is not just powers. This doesn’t mean that people can choose when to obey the government. 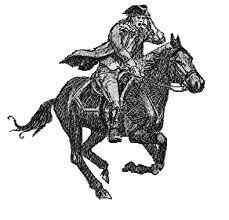 After all, President George Washington sent an army to quell the Whiskey Rebellion. 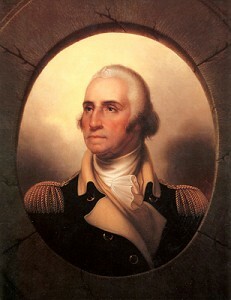 Congress had imposed an unpopular tax on whiskey, and Washington believed this enforcement action was his duty because duly elected representatives had passed a law consistent with the enumerated powers in the Constitution. The government’s authority comes solely from the Constitution—which is a social contract between the people and their government. This contract can be amended, but only by one party—the people. In fact, it has been amended twenty-seven times—twelve in the last century. Government of the people, by the people, for the people mandates that changes be approved by the ratification process defined in the Constitution. People in government take an oath to preserve, protect and defend the Constitution of the United States. This means they cannot ignore the Constitution, nor can they exercise authority beyond the enumerated powers. They are also obligated to call out others who violate the Constitution. Recent experience shows that this is not the common understanding in Washington D.C. If some remain confused, perhaps words from the Father of our Country can help clarify what the Founders intended. What Did the Founders Think? Amen to no usurpation! It’s a great word and a great concept for our current elected officials to hear. The delegates knew they could go to the people, because We the People in those days weren’t afraid of confronting the public servants, with tar and feathers if necessary, so going to the people was a valid option in those days, as opposed to the sheeple of today, who are afraid of their public servants, and relinquish the power they have to influence them.